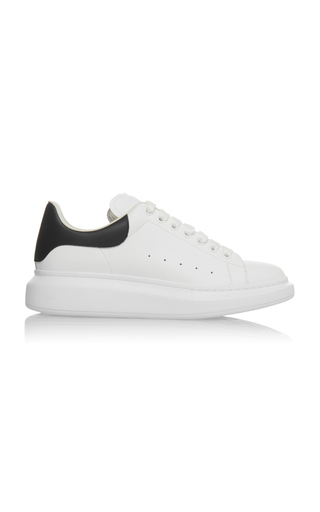 Alexander McQueen's sneakers are one of the label's most coveted designs - every iteration sells out fast, so don't leave them in your basket for too long. Made from smooth white leather, they're trimmed with pastel-pink suede and rest on the house's signature exaggerated sole. Balance the chunky proportions with cropped pants or jeans.